In part 2 of this primer we talked about the two ‘simplest’ stud variants, Razz and Stud. If you missed that you can check it out here. Now we super glue them together. I’m not sure I can call it my favorite game but I have certainly put up my best WSOP results in Stud8 tournaments, so I enjoy playing it more often than not. From a basic rules standpoint, it’s fairly simple. You’re playing Stud and Razz, with a qualifier, at the same time. Most people initially assume that high hands are way stronger than low hands because you can scoop with a high hand and you can only win half the pot with a low (and you don’t make a low every time). Those people should be ashamed. This game is ALL about the low hands. I’ve actually told people they could just pretend they’re playing Razz and not do too badly in this game. It’s a lot more complicated than that, but it’s far better than just playing it as Stud. All of these have a strong chance to make a good high, low, or both. You have upwards of half the deck to give you a good shot at a draw. Just like in other Stud games, knowing dead cards is extremely crucial. If you start with 234 in Razz and there are three 5s dead, it’s not a disaster. Your hand is still strong and you can make some huge hands. In Stud8, you have serious issues. It’s nearly impossible to make a strong high hand and you won’t always make a low, so you actually have to consider pitching your hand on 3rd or 4th if you don’t catch well and the action is high. AND BOY WILL THERE BE ACTION. Stud8 is another split pot game like O8 obviously, and “jamming” someone in the middle for a lot of bets is common practice. For instance, say we have three kings on 6th street while a player named Charlie is showing janky low hand like 8732. But Fred is also in the pot, showing 65QT. We assume Fred is either on a low draw or a straight draw and Charlie almost certainly has at least an 8-low locked up. You and Charlie, with your respective made hands, can jam bet after bet into the pot, forcing Fred to put in 4 big bets to see the river. If you are playing against reasonable players it’s possible to get max value out of your hands like this. A lot of players willingly play hands with any 3 low cards and, as a result, there may be as many as 6 players to 4th street and beyond. In Razz, a hand as bad as 873 isn’t too bad equity wise, but such a hand has no business being played in Stud8 unless no one else has a low card showing. If you are playing a hand that has a very low chance of making a high, you are playing for half the pot from a very early point. That means you are risking twice as much as you stand to gain which, in a limit game, is a disaster unless the pot is very large. You should fold those hands easily on 3rd street and wait to get dealt a hand such as 652, which is far stronger even though you need 2 specific cards to make a straight. Catching a 3 or 4 on 4th street allows your hand to be played much more aggressively and your equity in a multiway pot can be very high. Hand selection is one thing, but it’s important that you realize that Stud8 is a drawing game. Drawing hands can have insanely high equity against strong made hands, and you may have to fold some strong hands earlier than you’d expect for that reason. For instance, you raise with split kings and the bring in calls you with a . Believe it or not, you should probably just fold. The pot is small. You would have to put in 3.5 bets to see showdown against an incredibly scary board. Yes, he may have a pair of deuces and nothing else, or he could have the 87 in the hole and be drawing pretty slim for high. But he’s going to have a lot of aces in his range too. Sometimes he’ll catch another spade or two making it impossible for you to profitably call down. Sometimes he’ll make open aces. All these situations average out to an easy fold on 4th street. Some players play so straightforward that you might want to fold if he catches the 3 of spades on 4th as well. If he catches a brick feel free to see 5th street. Obviously being aware of when you are freerolling or being freerolled is important. It’s fairly straightforward but in either situation the person freerolling should try to put in as many bets as possible and the player getting freerolled should avoid putting in any aggressive action. The easiest situation is when you have a made low and your opponent has 3 high cards. It’s literally impossible for him to make a low, so feel free to cap every street. If you have a full house or flush against a very non scary low board, feel free to put in as much action as possible. You can even bet/call the river as well just in case they backdoor into a weaker high hand. The best, most profitable spots are when you have a high hand that looks like a low hand. It’s commonly said that starting with three 5s is the best hand possible because you can lose your mind in a pot and people will suspect you simply have a strong low hand. Another example is when you have a hand like two fours in the hole and catch another 4 on a board like 834. You can’t have a straight and even a hand like two pair in that spot isn’t very strong, so if you are putting in raises it’s probably assumed that you have a low and not trips. These hands can scoop multiway pots because other players can be fighting for the high and not the low. You still have a low draw as well and can backdoor lots of different things, so these hands should generally be fastplayed for max value. Stud8 is very complicated and it takes a lot of experience to feel super comfortable in the game, but I invite everyone to give it a try. A good Stud8 game is absolutely magical and much lower variance than other forms of poker. Generally, limit tournaments play incredibly loose early on when bad players have chips to splash around with. 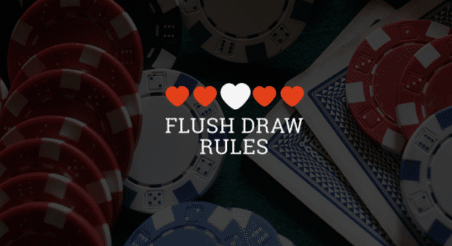 You should play your normal tight-aggressive cash game style during this early stage. This is the time to gain points on your image and try to take out the loose/bad players by playing solid hands and extracting max value. Later on when players start to drop to below 20 big bets, they’ll be playing significantly tighter and feel like they can’t defend bringins or big blinds too light. The same players who played their T7o in LHE may feel like they can’t do that anymore and fold it without a second thought. Those are the times to start attacking certain players who show that they are willing to fold hands they should probably be defending. Later in the tournament, if you have lots of chips compared to others, play extremely aggressive early in hands. Open a lot of pots, defend lots of big blinds and bring-ins. If you’re low on chips, play extremely tight. You can often get sucked into a hand with a weak holding and suddenly half your chips are in the middle and you have no idea what to do. This is super dangerous. In LHE, inexperienced players will never go for thin value on the river so you should be careful about value-owning yourself when they check a hand on the river. Keep going for good thin value bets yourself as it’s unlikely your opponents will bet themselves on the river. In Omaha, the difference between early on and later in the tournament is striking. Players will play absolute garbage hands early and a lot of players will lose or win a ton of pots in O8 because it’s a very high variance game postflop. Later, people play only ace-wheel combinations and extremely strong high hands. Feel free to open up your game significantly if no one has entered the pot and be wary of players who only ever turn up premium hands. In Razz, you should be able to spot the players who only start with 3 good low cards every time and you can take full advantage of their tight play. Avoid them unless you have a strong hand yourself or if you can get in for cheap. Try to bet when they brick as they might fold significant equity. If they catch good, though, get out. They aren’t messing with you. In Stud, most players rarely raise your completes as a bluff. Trust people to have what they are representing and you will rarely be surprised. Generally speaking, people don’t know how to mess around in Stud and play it extremely straightforward. You should do the same if they get aggressive with you. Stud8 is not the game to get creative. This is the least bluffy game possible. Play your hands well and get max value out of them. People make massive mistakes by playing too many hands in this game, so find those players and take their chips. I hope that this set of basic HORSE tips is not too daunting for you. There’s no better way to learn than getting experience and as you learn some things about one game, you will start to apply your knowledge towards the other games as well. Each game feeds into the others and you will become a much more rounded poker player. For more on Limit Hold’Em and Omaha-8 check out part 1 of this series. Craving more Razz and Stud? Check out part 2 of this series where I covered both Stud variants extensively.